This Manfrotto Single Deluxe Autopole Two is a truly unique product. Extending from 82.7- Inch- 145.7- Inch this is designed to go from floor to ceiling or wall to wall supporting all sorts of lighting equipment or backgrounds. A secure locking system assures stable set ups. 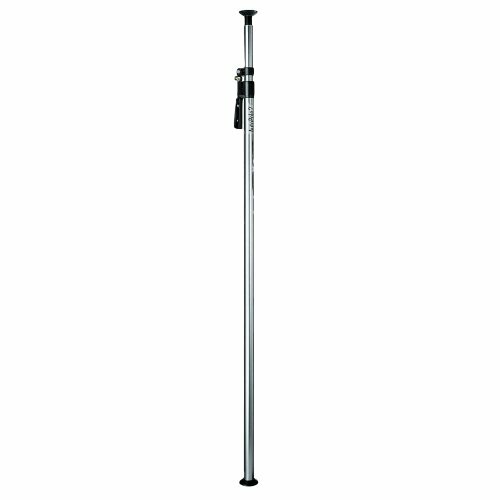 Color: silver; material: aluminum; maximum extension: 145.67 in. ; minimum extension: 82.68 in. ; pole diameter: 45.40mm tube; weight: 5.73 lbs. A great support solution for many applications. Unique locking system gives secure set ups. If you have any questions about this product by Manfrotto, contact us by completing and submitting the form below. If you are looking for a specif part number, please include it with your message.